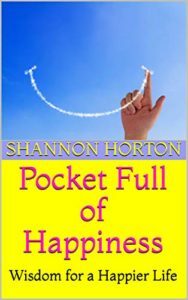 Purchase “Pocket Full of Happiness: Wisdom for a Happier Life” on Amazon! This is Shannon Horton’s first published book. Designed to be easy to read full of inspirational messages to think about and even ways to apply this wisdom to your own life.